On 19 July, 2017, Prof. Wu Ji, the Director General of National Space Science Center, CAS visited the China-Brazil Joint Laboratory for Space Weather (Joint Laboratory) and inspected its construction. 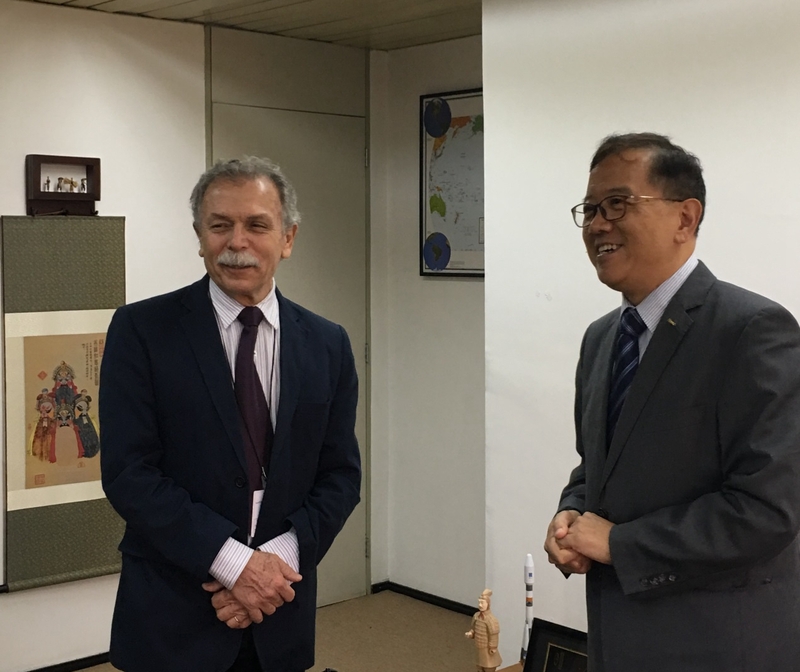 He met officially with Prof. Galvão, the Director General of National Institute for Space Research (INPE) about the follow-up works of the Joint Laboratory. Prof. Wu and Prof. Galvão made introductions of the developments of the Space Science Mission respectively. Prof. Wu expressed his satisfaction of the current development and the cooperative achievements of the Joint Laboratory. Both of them believed that the Joint Laboratory has a brilliant future. To improve the output of scientific research, they pointed out that the follow-ups should be implemented vigorously based on the cooperation of the Joint Laboratory. 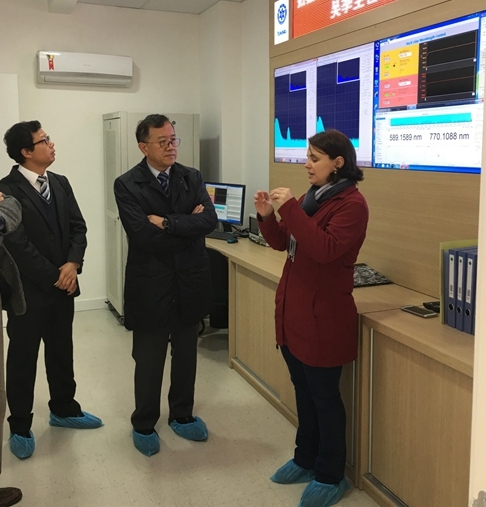 After the meeting, Prof. Wu visited the Test and Integration Laboratory（LIT）, Satellite Control Center（CCS）, Center for Weather Forecasting and Climate Studies（CPTEC）, Brazilian Space Weather Study and Monitoring Program（EMBRACE），and the Joint Laboratory. He gave recognition of Joint Laboratory’s achievements, gave credits to all the members in the Joint Laboratory for the development, and encouraged them to make greater contribution to the cooperation with international fellows in the Space field.